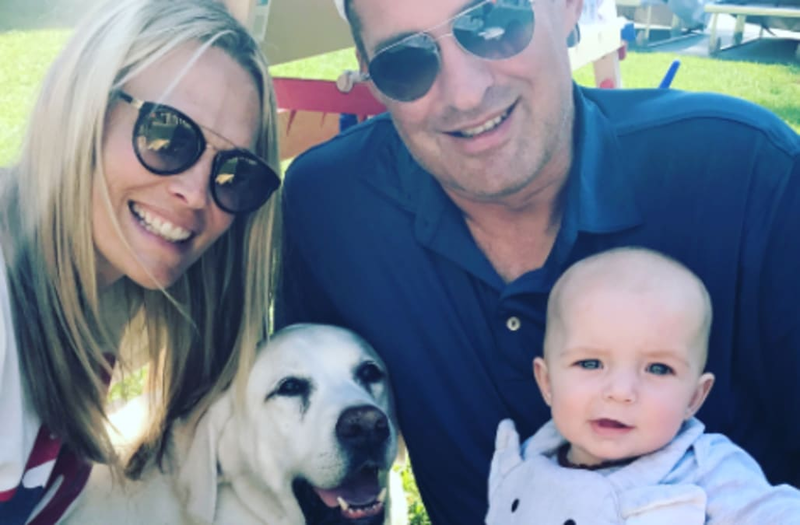 Molly Sims is mourning the death of her beloved dog, Duke. The mother of three took to Instagram on Friday to pay tribute to her four-legged friend, alongside an adorable slideshow of the pooch with her family. "We are BEYOND devastated...Yesterday, we lost our beloved Dukie. 😥💔 When I married Scott, I knew I got 2 for the price of 1," Sims wrote. "Dukie...you've been our best friend for 8 1/2 years and we've cherished every second of it. You are the MOST lovable, needy, & sweet ball of fur there ever was." "We feel soooooo lucky Brooksie, Scar, & Grey got to have you in their lives. I can't believe 2 weeks ago you were completely fine...running in the yard and playing in the bubbles.. cannonballing into our pool," she continued. "Our hearts are absolutely breaking but we know you are living in doggie heaven and we will NEVER EVER forget you and the unconditional love you brought in to our lives." "There will never EVER be another Duke 💔," Sims concluded. "Thank you everyone for taking care of him and for everyone who loved him and has said so many prayers these last couple of days #8years #tooyoung #loveyouforever #howdidthishappenin2weeks #fcancer #heartbroken #nowords #poopetteandchloeLOVEDyou." Sims' kids, 4-year-old Brooks, 2-year-old Scarlett and 5-month-old Grey, were all big fans of Duke.